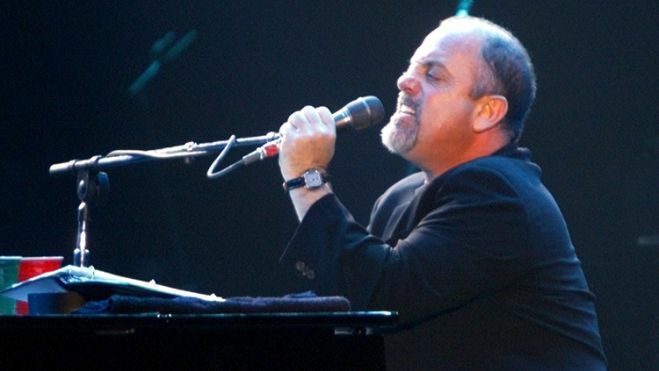 This is kind of incredible for two reasons: The first being that I already have tickets to go see him in April and the second reason being that The Piano Man is probably going to die on stage at MSG. Which, honestly, is not a bad way to go out. I can see it now. His head bouncing off the piano keys mid-“My Life”. I can only assume that they have a plan set in place if he does die in the middle of his set. Lower a cable down from the rafters, hook him up to it, and lift him out of the stadium with a bright beam of light shining down upon him. I can only hope I will be at that show (but not anytime soon because Billy Joel is going to live for a long, long time). This also reminds me of the time that Michael Jordan almost got forced into playing one-on-one basketball for all eternity at the hands of Mister Swackhammer. Except I’m pretty sure the owners of MSG are not cartoon aliens…. I have been wrong before. Posted on December 5, 2013, in Average Blog Posts and tagged baseball, basketball, billy joel, concerts, interview, madison square garden, Michael jordan, msg, New York, piano man, playing. Bookmark the permalink. Leave a comment.